After practicing and researching aikido for a number of years I gradually arrived at a hypothesis that went against conventional wisdom and the testimonies of numerous shihan who claimed to have spent long years studying at the side of aikido founder, Morihei Ueshiba. I had over the years attended numerous seminars given in the USA by Japanese teachers and also made several trips to Japan where I had seen and trained with many of the best known teachers. My theory was simply that aikido as we know it today was not the art practiced and taught by O-Sensei, but rather any one of a number of derivative forms developed by key students who studied under the founder for relatively short periods of time. This would account for the considerable divergency in styles, the relatively small number of techniques taught, and the absence of an Omoto-like religious perspective in the modern forms of the art. This was not meant as a criticism of these "modern" forms of the art, but rather an observation based on historical research that ran contrary to common perception. When I moved permanently to Japan in August 1977, I made a personal decision to study in Iwama under Morihiro Saito Sensei. In the final analysis, what attracted me to Iwama was the emphasis on firmness and precision of technique, and the inclusion of the aiki ken and aiki jo in the training curriculum. I'm sure that the proximity of the Aiki Shrine and the fact that training in Iwama took place in O-Sensei's personal dojo were also contributing factors. At the same time, I would hasten to mention that I didn't consider Saito Sensei's technique to be a faithful continuation of the aikido of the founder, but rather regarded him as a technical master in his own right. 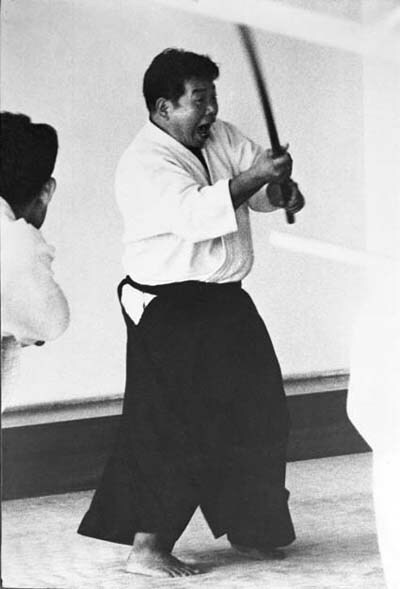 Looking back, I put Saito Sensei in the same category with well-known teachers like Koichi Tohei, Shoji Nishio, Seigo Yamaguchi, and others who were all highly skilled and had developed original teaching styles which, though initially inspired by Morihei Ueshiba, had evolved into quite different directions. 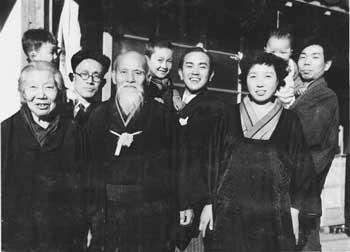 Left to right: Hatsu Ueshiba, Kisshomaru, Morihei Ueshiba, Koichi Tohei, Kisshomaru's wife, Sakuko, Morihiro Saito. I recall clearly that, even though my Japanese language skills were rather limited at that stage, I managed to communicate to Saito Sensei my thoughts on this subject and doubts that his aikido was essentially the same as that of the founder as he claimed. 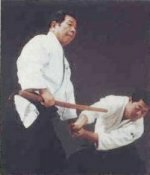 My perception was based on the fact that Saito Sensei's technique appeared to be quite different from the aikido of the founder that I had seen on film. Somewhat amused at my skepticism and no doubt my cheekiness considering that I was his student, Sensei patiently explained that the reason for my confusion was that most of what was preserved on film of the founder were demonstrations. He pointed out that the public displays of technique of the founder were very different from what O-Sensei showed in the dojo in Iwama. Saito Sensei continued to insist that it was his responsibility to faithfully transmit the aikido of the founder and that it was not his intention to develop a "Saito-ryu Aikido." Despite his best efforts, I continued to have strong doubts on the matter even though my admiration for his technical skills was never in question. Then, one day about two years after my arrival, I was conducting an interview with Zenzaburo Akazawa, a prewar uchideshi of Morihei Ueshiba from the Kobukan Dojo period. Mr. Akazawa proceeded to show me a technical manual published in 1938 titled Budo which I had never seen before. It contained some fifty techniques demonstrated by the founder himself. As I slowly turned the pages of the manual, I was amazed to see that the execution of several basics techniques such as ikkyo, iriminage and shihonage were virtually identical to what I had learned in Iwama under Saito Sensei. Here was the founder himself demonstrating what I had up until then regarded as "Iwama" style techniques. Mr. Akazawa kindly lent me the book and I hurried to show it to Saito Sensei. I'll always remember the scene as I called at Sensei's door to share with him my new discovery. To my surprise, he had never seen or heard mention of the book before. He put on his reading glasses and leafed through the manual, his eyes scanning the technical sequences intently. I felt compelled then and there to apologize to him for having ever doubted his assertion that he was making every effort to faithfully preserve the founder's techniques. Saito Sensei laughed and, obviously with great pleasure, bellowed, "See, I told you so!" From that time on (about 1979) even up through this day, Saito Sensei always travels to his aikido seminars with a copy of Budo to use as proof to show that a particular technique originated in the founder's teachings. It goes without saying that I was forced to admit that there was at least one instructor who was disseminating aikido in a manner faithful to the original teachings of the founder. But did this disprove my general theory that the styles of aikido widely practiced today have little to do technically and philosophically with the art of the founder? Consider the following. If you go to the dojos of any of the major teachers, you will find that their students' movements closely resemble the teacher in question. Let's face it, they would be poor students if they did not make every effort to emulate their teacher's movements. It is often possible to identify students of a given teacher in the context of a large demonstration in which participants from many different dojos appear. Why is it then that there is a such a vast difference among the major styles of aikido if all of the shihan studied directly under the founder? Some have said that the founder's art changed greatly over the years and that this accounts for the differences in the techniques of his students who learned during different periods. Others state that O-Sensei would teach different things to different students according to their character and ability. I have never found either of these arguments to be particularly persuasive. In fact, when I discovered the old 1935 Asahi News film many years ago I was surprised at how "modern" the founder's art was even at that early stage. Moreover, the founder usually taught groups of students, not individuals, and this fact does not lend support to the theory that he adapted his instruction to the needs of individual students. No, I believe there is a very different explanation for this considerable divergency of styles. I think it is due primarily to the fact that very few of O-Sensei's students trained under him for any protracted length of time. With the exception of Yoichiro (Hoken) Inoue, a nephew of Ueshiba, Gozo Shioda, the founder of Yoshinkan Aikido, and Tsutomu Yukawa, O-Sensei's prewar uchideshi studied a maximum of perhaps five to six years. Certainly this was enough time to become proficient in the art, but not enough to master the vast technical repertoire of aiki budo with its many subtleties. Most of these vigorous young men who enrolled as uchideshi were forced to prematurely end their martial arts training to enter military service. Furthermore, only a handful of these early deshi resumed their practice after the war. The same can be said of the postwar period. The initiates of that period include such well-known figures as Sadateru Arikawa, Hiroshi Tada, Seigo Yamaguchi, Shoji Nishio, Nobuyoshi Tamura, Yasuo Kobayashi, and later Yoshimitsu Yamada, Mitsunari Kanai, Kazuo Chiba, Seiichi Sugano, Mitsugi Saotome and various others. Shigenobu Okumura, Koichi Tohei, and Kisaburo Osawa form a somewhat unique group in that they practiced only briefly before the war, but achieved master status after World War II. None of these teachers spent any lengthy period studying directly under O- Sensei. This may seem like a shocking statement, but let's look at the historical facts. Before the war, Morihei Ueshiba used the Kobukan Dojo in Tokyo as his base, but was widely active in the Kansai area as well. In fact, he even had a house at one time in Osaka. Over the years it has become clear to me from listening to the testimonies of the oldtimers that the founder moved around a great deal and would spend perhaps one to two weeks a month away from the Kobukan Dojo. Also, keep in mind that the early uchideshi ended up being coopted as instructors due to the burgeoning popularity of the art and the wide-ranging activities of the Omoto-sponsored Budo Senyokai (Society for the Promotion of Martial Arts) headed by Ueshiba. These pioneers studied for relatively short periods, had only limited exposure to the founder because of his frequent absences from the dojo, and were themselves often away from the headquarters dojo functioning in a teaching capacity. In the years during and shortly after the war, O-Sensei was ensconced in Iwama. Finally from the early 1950s he began to resume his travels with occasional visits to Tokyo and the Kansai region. By the late 1950s his trips increased in frequency and it seemed no one ever knew where he would be at a given point in time. He divided his time between Iwama, Tokyo, and his favorite spots in Kansai which included Osaka, Kameoka, Ayabe, his native Tanabe, and Shingu. He even visited Kanshu Sunadomari in far away Kyushu. I remember hearing Michio Hikitsuchi Sensei state that O-Sensei visited Shingu more than sixty times after the war. Considering that this refers to a period of about twelve to fifteen years, we see that the founder was off in Kansai on the average of four to six times per year. The astute reader will see no doubt see what I am leading up to. O-Sensei did not teach in Tokyo on a regular basis after the war. Even when he appeared on the mat, often he would spend most of the hour lecturing on esoteric subjects completely beyond the comprehension of the students present. The main teachers at the Hombu in the postwar years were Koichi Tohei Sensei and the present Doshu Kisshomaru Ueshiba. They were assisted by Okumura, Osawa, Arikawa, Tada, Tamura and the subsequent generation of uchideshi mentioned above. I want to make my point perfectly clear. What I mean to say is that Morihei Ueshiba was NOT the main figure at the Hombu Dojo who taught on a day-to-day basis. O-Sensei was there at unpredictible intervals and often his instruction centered on philosophical subjects. 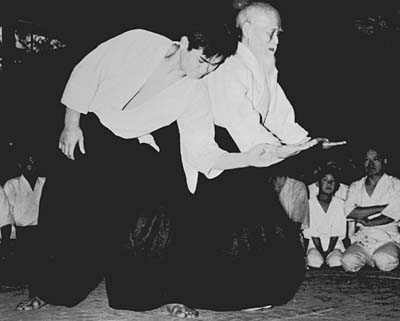 Tohei and Kisshomaru Ueshiba are the persons most responsible for the technical content and development of aikido within the Aikikai Hombu system. As before the war, the uchideshi of later years would teach outside the Hombu Dojo in clubs and universities after only a relatively short period of apprenticeship. Also, this period was characterized by "dan inflation," many of these young teachers being promoted at the rate of one dan per year. In a number of cases, they also "skipped" ranks. But that is the subject of another article! What does all of this mean? It means that the common view of the spread of aikido following the war taking place under the direct tutelage of the founder is fundamentally in error. Tohei and the present Doshu deserve the lion's share of the credit, not the founder. It means further that O-Sensei Morihei Ueshiba was not seriously involved in the instruction or administration of aikido in the postwar years. He was already long retired and very focused on his personal training, spiritual development, travel and social activities. Also, it should be noted that, despite his stereotyped image as a gentle, kind old man, O-Sensei was also the possessor of piercing eyes and a heroic temper. 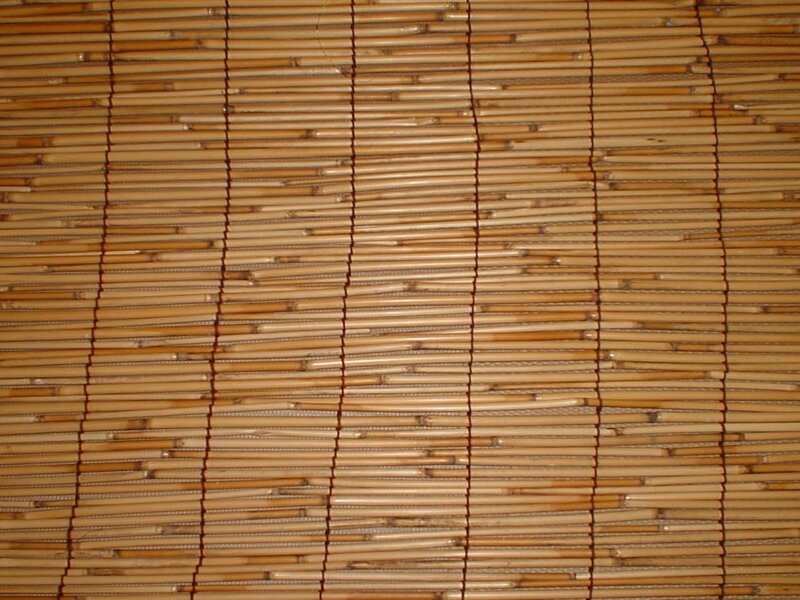 His presence was not always sought at the Hombu Dojo due to his critical comments and frequent outbursts. This is the truth of the matter as attested to by numerous first-hand witnesses. In the past I have hinted at some of these things, but have only recently felt confident enough to speak out because of the weighty evidence gathered from numerous sources close to the founder. I can't say necessarily that these comments will help practitioners in the training or bring them closer to their goals, but I do sincerely hope that by shining the light of truth on an important subject, those committed to aikido will have a deeper understanding on which to base their judgments. I also hope that the key figure of Koichi Tohei who has in recent years been relegated to a peripheral role or overlooked entirely will be given his just due.